I’ve been reading Chӧgyam Trungpa’s Book, Transcending Madness–very appropriate subject matter for Southern Hemisphere Astrology! My whole enterprise is mad, it seems, dropping breadcrumbs in the moonlight towards the mouth of a cave–of identity, of conventional astrology–people don’t want to leave, with birds as my only retinue. This one satisfies me for now. You can see how the resonances of the Constellations align with the Zodiac and the seasons, and with their opposites across the chart. You can also see the effect of my chosen Ayanamsa of (currently) 27.73° (whose origin is Iota 1 Scorpii at 0° Sagittarius–so important to preserve the tail of the South’s most prominent constellation!) on the Sun’s sidereal location throughout the year. The title of this post mentions Thou, and that’s what I want to get onto, but because of its importance in my understanding of madness, and because of its prominence in the chart above, I will tell you a little about my concept of Lilith, Black Moon Lilith, whose glyph appears in each Constellation above. Lilith is a strange compartment of the psyche, buried so deep as to have no real location, and yet its ghost lingers in the shadows of every corridor. Mathematically, it can be found as the hypothetical apogee of the Moon, bouncing around all over the place as the Moon’s orbit lurches through the turbulent influences of Sun and Earth (and Venus and Jupiter etc.). Astronomically, it can be identified by measuring the Moon’s distance at its greatest. Psychologically, it symbolizes our earliest, most distant but fundamental emotional experience, separation. What was our first experience of emotional pain? How did we come to define it? How did we react and perceive the response to our behaviour and our training to overcome it? How did we understand the sanctions of our early training and internalize them? How did the chaotic feelings of frustration and anguish translate into behaviour? How did that behaviour contribute to the form of our early relationships? How did we modify it ourselves as we came to evaluate the behavioural models before us? Along what path to attitude did we remedy ourselves? What are we made of: remedy or pain? Aren’t we mad, the way we’re so sane? The times given in hours:minutes:seconds are of how long each Constellation takes to cross the Ascendant at my latitude. The time it takes the next associated Sign to rise after the first point of each Constellation varies between 5:27 and 11:18 (mins:secs). At the extremes, it takes Aries 2:29:46 to cross the horizon and 11:18 for the Sign of Taurus to follow; but Virgo is across the horizon in 1:14:04 and the Sign of Libra follows 5:27 later. What has this got to do with anything? Well, what you see above is the opposite to what occurs in the Northern Hemisphere, where our short ones are all long and our long ones are all short. Furthermore, because the Ascendant takes longer to pass through the long ones, the likelihood is that more natal horoscopes will have Ascendants in long Signs than in short Signs. I can’t at present find in nature a basis for differentiating Eastern and Western Signs, other than that depicted above, but thanks for focussing me on the western hemisphere, Richard. It’s where the interesting things happen down here too, such as the behaviour of the Vertex. 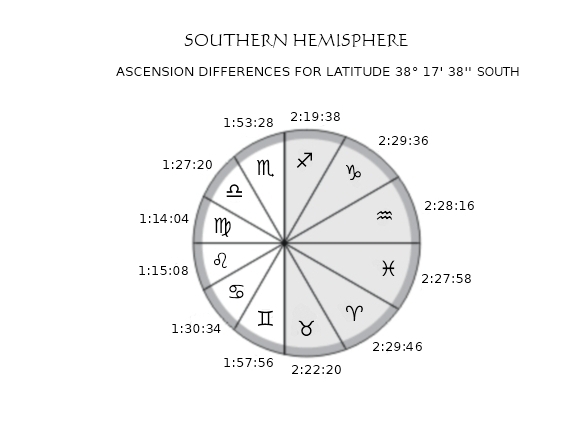 Referring to the Ascension Difference chart, and bearing in mind that the Equinoxes are at 2.27° Virgo and Pisces, the Ecliptic in all of the Constellations below the horizontal line crosses the Western Horizon north of due west, so that the Vertex is below the horizon. The configuration of the Constellations as shown, with the Southern Summer Solstice in Sagittarius at the top, occurs 3min 56sec earlier each day, this morning at 08:52:49 EDST. For several hours beforehand, the Vertex, as astrology refers to another imaginary point at the intersection of the Ecliptic and the Prime Meridian (or due west), looped through Gemini, Cancer and Leo. As the projection onto the Ecliptic of the Descendant or Shadow, the Vertex, which has been named Destiny’s Gate by one astrologer, lurks in the western, afternoon and evening Houses, in which relationship reveals the nightmarish difficulty of merging consciousness with others, and when flagging egos often suffer more than glancing blows. It symbolizes both the danger and the blissful anticipation of that most intimate Other, the Beloved. 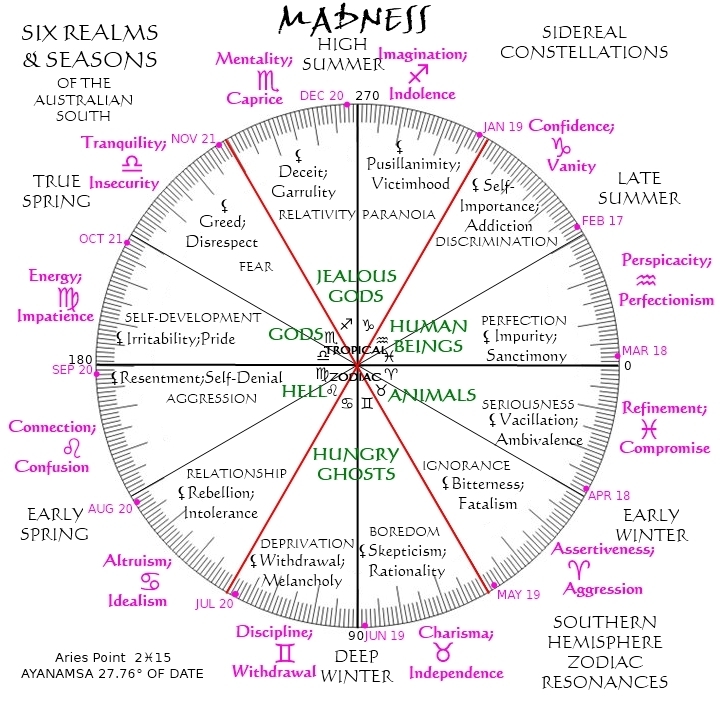 As I configure the resonances of the Constellations in the Madness chart above, associating them with their opposite Zodiac Signs, the Vertex had quite a journey! (Lilith was in Cancer.) It ultimately reached a tense conjunction with the Shadow at the time stated, and clambered above ground like the ghost of Sadako in The Ring, lurching into the earnest spiritual materialism of Virgo. The journey will repeat itself tomorrow. I have no comment to make about this. You can see for yourself. Have a good day, girls! The practice of astrology is based on the mathematical possibility of measuring location in motion, the idea being to locate the relative position of a number of significant interacting influences at an instant of time. When you are reading a horoscope, which is a snapshot of time, it is vital to remain aware that there is no such thing in reality as an instant of time. When the Aries Point is on the horizon, the axes of Earth’s rotation and revolution are in alignment, and the Winter Solstice Point is due-north at Mid-Heaven. At this moment, the Vertex is exactly conjunct the Descendant, but a fraction of a second before or after it is not, and that fraction is infinitesimally, immeasurably small. 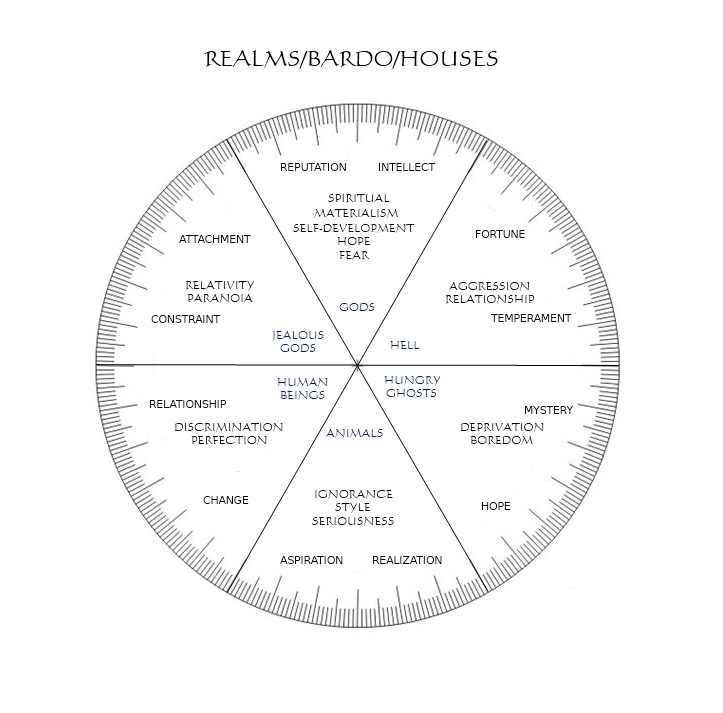 Which house the Vertex is in depends on the accuracy of measurement, and indeed our imagination allows the identification of a moment when it is in neither. With this realization, we can ask ourselves, “When was I born?” and, “When does the Sun set?”. This is the real reason that astrological aspects deal with orbs. The experience of the symmetry, regularities and synchronicities entailed in Solar System behaviour is a beautiful one, with the potential to awaken us to both the potency and contingency of our perspective. The real purpose of a horoscope should not be to define, but to present suggestions as to your state of being in such a way as to help you to ‘get’ your immeasurability, to help you to the sense of wonder at the limits of identification which is the portal leading back out of yourself, out of your self-created problems, predicament or mood, towards the awareness of contingency and emptiness, and to enlightenment. Whether the configuration of my horoscopes is Northern or Southern Sidereal or Tropical, make the exercise of reading them a meditation, a practice of intellectual and emotional deep breathing. 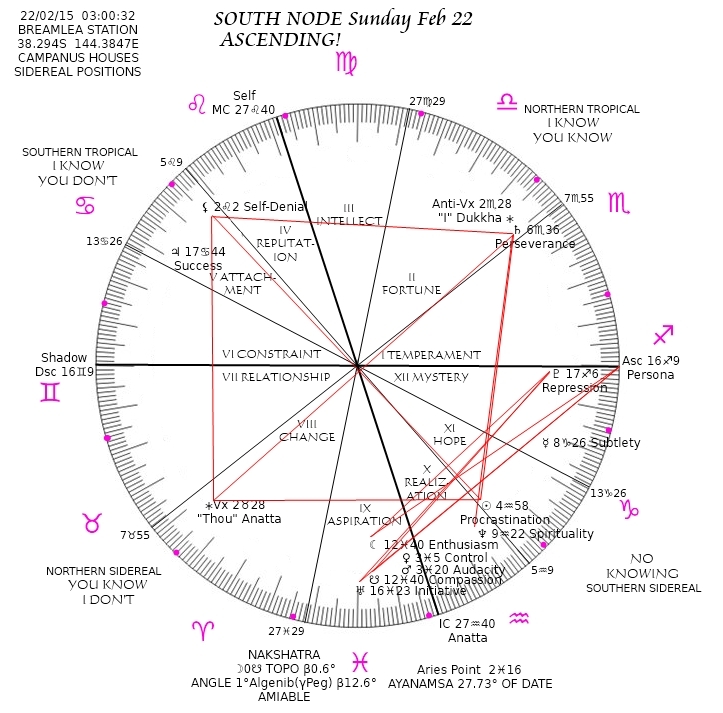 Last night I was searching for bi-wheel chart templates and stumbled against traditional astrology’s contempt for any effort to apply its interpretations to what is in the sky, the motive which gave it birth. “The concept of “return charts” and of transits altogether is – on a deeper level – a symbolic concept rather than a physical concept. It should therefore be applied in a consistent symbolic system and not in an inconsistent potpourri of systems.” Astrodienst. I get that, and who am I to get mixed up in a fight with the big guys? I don’t pretend to be an astrologer. 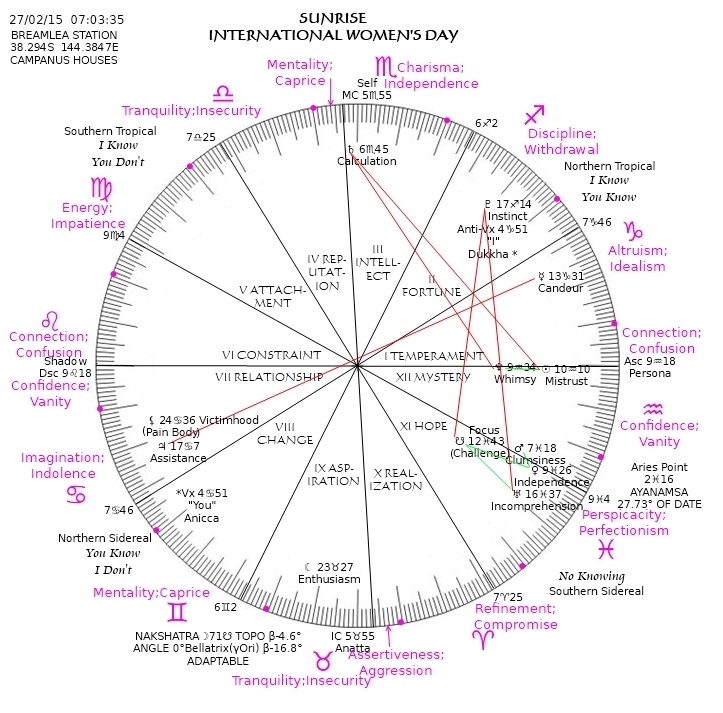 I am merely one of the hordes through the centuries who has gazed up at the Constellation of his Sun Sign and yearned for a consistent symbolic system to connect human life, Constellation and Sign. The symbols of western tropical astrology may be consistent, and fit neatly and ‘eternally’ into the beautiful symmetry of the Solar System, but I find many of them to be empty, in the sense that the symbol of an ant for human progress is empty when I am trying to cross the road. What is a symbol without content but a signal of delusion, a useless distortion of reality? 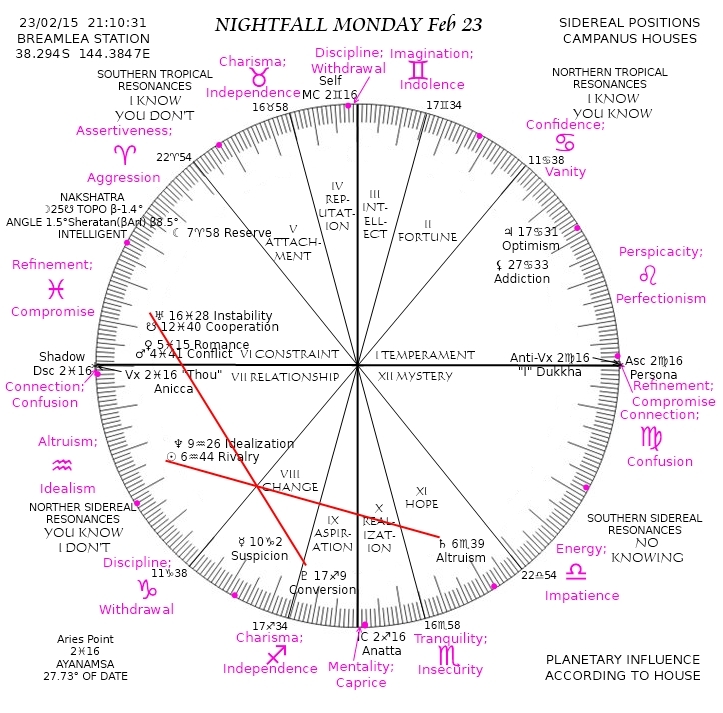 The symbolism of the Zodiac must wait for later consideration. The symbol which engages me today is the “Descending” Node, the real moment when the Moon crosses the plane of Earth’s orbit of the Sun, heading downwards, or towards the South Celestial Hemisphere. So it is with the Nodes of the Moon. Today the Moon ascends, heads upwards to the south! So where does that leave the astrological symbolism of the Nodes’ resonance with karma and challenge? Turned on its head, of course! Because of the fact that the Moon is crossing the Ecliptic very close to the Aries Point (the real origin of the western astrological system), the real intersection of Ecliptic and Celestial Equator in Pisces, it will be the highest it is ever seen in Gemini on February 28 when it reaches its southernmost ecliptic latitude, and that does symbolize something to me! Please be patient while I get up and running. 2) Some of what you may believe is worth unlearning.